LEADERS at a school in Hanham have told parents a recent Ofsted report which says improvements need to be made "seems harsh". 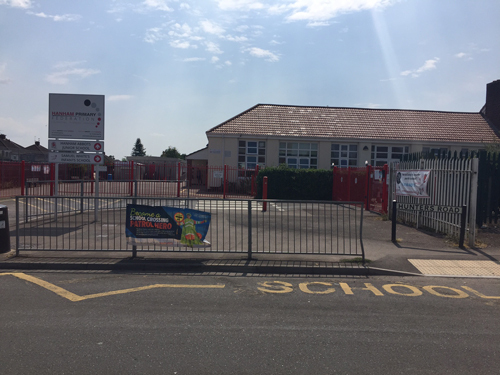 Following the departure of headteacher Mike Weenink who left in December to take up a post at another school, inspectors made a routine inspection at Hanham Abbots Junior School in June. Their report, released on July 23, has judged the school to "Require Improvement", saying that leaders and governors have failed to maintain the good outcomes seen at the last inspection three years ago. But in a letter to parents, executive headteacher Mike Coyne and chair of governors Carl Lander said: "We are disappointed by the outcome of the inspection as the judgements appear harsh in the context of the many positive statements in the report and the outcomes for pupils at the end of KS2 this year. "However, we accept the judgements as a measure since the last inspection in 2015 and as a platform for further improvement of the school." The school was judged to require improvement in three out of four categories - effectiveness of leadership and management, quality of teaching, learning and assessment and outcomes for pupils. However, the school was thought to be 'Good' for the personal development, behaviour and welfare of pupils. According to the report pupils' progress in recent years has been poor, although pupils are now making better progress, especially in Years 5 and 6. Able pupils have not made enough progress and least able children have not made the gains they are capable of in writing and maths. The quality of teaching, learning and assessment has not been good enough with teaching "inconsistent" and expectations not high enough. The report, however, did note that there is some high quality teaching at the school. Governors also came in for a hard time with inspectors saying they have not made sure the school has continued to provide a good quality of education since the last inspection. "They have not held teachers and staff to close enough account for a decline in the quality of teaching and the weak progress made by pupils over time." The school's work in the field of personal development, behaviour and welfare was positive, with pupils growing in self confidence, enjoying school and eager to take on extra responsibilities. Most youngsters show a good attitude to learning, pay attention and listen well. They are polite, show respect for each other and their conduct around the school is good. Pupils say bullying is rare, which is supported by school records which show such incidents are carefully recorded and followed up. Pupils feel safe at the school and a majority of parents say their child is happy, safe and feels well looked after. Although the report was largely critical there were many statements by inspectors which suggested the school was already making progress. "The recent actions undertaken by leaders, including targeting additional interventions for vulnerable pupils, are making a difference to raising standards," Ofsted said. "The executive headteacher and senior leaders are aware of the strengths and weaknesses of the school and are beginning to take appropriate action to make improvements." It also said: "Pupils’ achievement in writing is improving strongly...Pupils currently in the school are making stronger progress in reading, writing and mathematics as a result of recent efforts to improve teaching. Work seen by inspectors supports the school’s information that pupils across the school are reaching higher standards and making better progress than in the recent past." Inspectors were also encouraging about a recent appointment: "The new inclusion manager has transformed provision for disadvantaged pupils and those who have SEN and/or disabilities." Ofsted has pinpointed areas in which the school needs to work on, including improving the quality of teaching and ensuring it challenges all pupils, developing the curriculum and making sure governors have the skills and confidence to hold leaders to account. Mr Coyne and Mr Lander ended their letter to parents by saying the school was looking forwarded to the new head's arrival in September to help continue the improvements: "We are confident that we can meet these challenges. Federation and school leadership will be further strengthened by Matthew Norcott’s arrival as HAJ headteacher in September 2018 and both staff and governors are fully committed to the further improvement of Hanham Abbots Junior School." Mr Coyne told the Voice: "The report comments on Y6 data only - and while this is important, and a significantly improving picture, it is not the only measure by which a school should be judged. "The inspection has provided us with challenges. The report makes it clear that the school already understood – and had acted on – the key issues identified during the inspection. Improved end of key stage outcomes in 2018, particularly in English, demonstrate that the school has now fully adjusted to the requirements of this more challenging curriculum and outcomes are improving for children. "We look forward to a happy and successful year at Hanham Abbots in 2018-19."